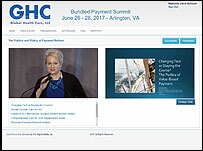 WASHINGTON DC USA -- HEALTHCARE UPDATE NEWS SERVICE -- APRIL 4, 2019: The Ninth National Bundled Payment Summit, www.BundledPaymentSummit.com, will be held June 17 - 19, 2019 at the Grand Hyatt in Washington, DC. The Summit will be offered both onsite and live and archived for 6 months over the Internet. 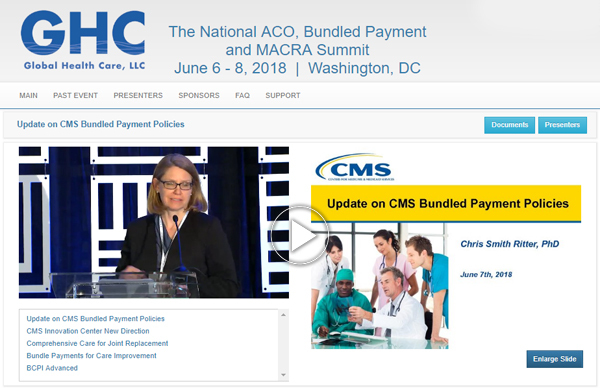 The Summit is collocated with the Tenth National ACO Summit and the Fourth National MACRA Summit. A registration for any of these events permit attendance of all three events' sessions.